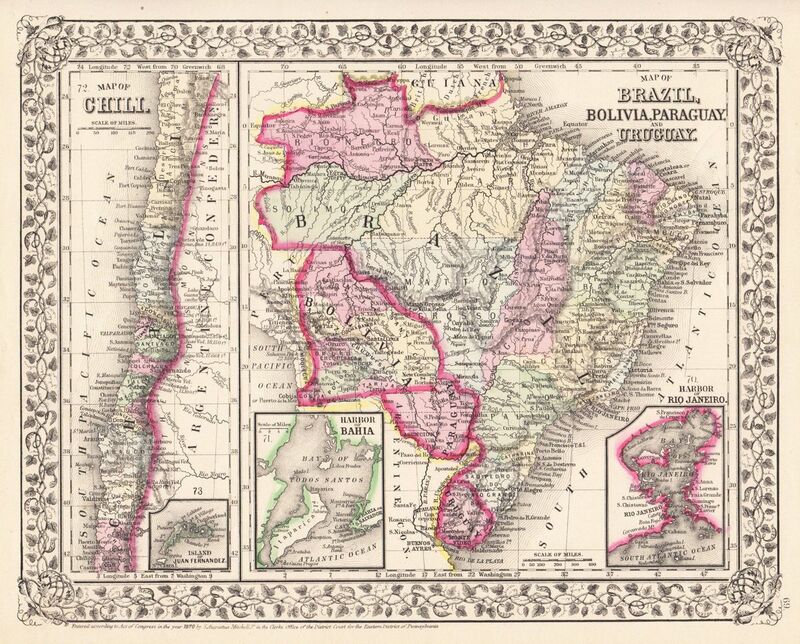 Two beautifully detailed and colored maps of South American regions—Chile and Brazil, Bolivia, Paraguay, and Uruguay—on a single sheet from the 1870 edition of Mitchell's popular New General Atlas of the world. The Chile map includes an inset of Juan Fernandez Island; the Brazil map includes inset maps of the harbors of Bahia and Rio de Janeiro. The two main maps are framed by the decorative vine motif border typical of Mitchell maps of the mid-1860s to 1881. Size: 13 3/8" x 10 3/4"